An early jacquard doublecloth coverlet in a variation of the 4 Lilies pattern with a distelfink (thistle finch) & flowering shrub border. 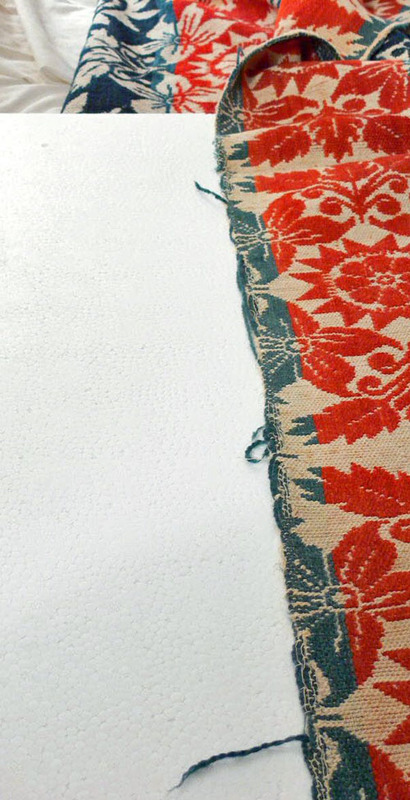 Various coloured dyed wools on natural white cotton. Three of the 4 sides are fringed; the 4th side is seamed over & unfringed. 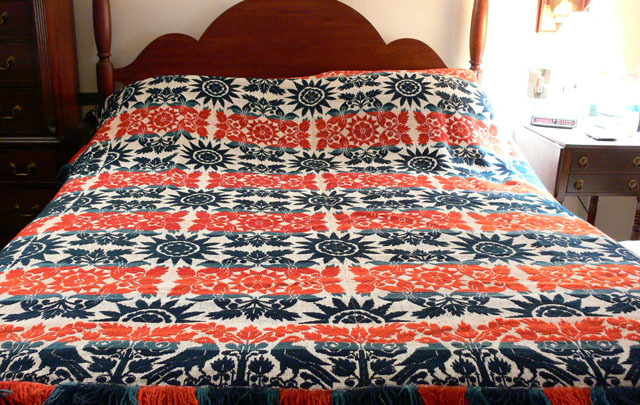 The coverlet is centre seamed and the colours are red, indigo blue, a lighter blue & white. Great condition with the only item to mention is that the seamed end is frayed in some areas but can be easily resewn. There are no stains, tears or holes. Measures approx. 80 ½” x 71” excluding the fringe. 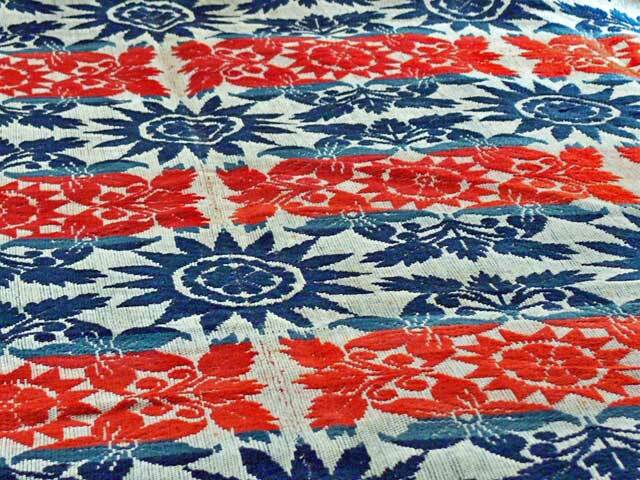 Found in Welland County, Ontario & likely made by one of the 4 unknown German-Canadian jacquard weavers working in that area in the mid-19th century. Reference “Keep Me Warm One Night”. Circa 1840’s-60’s.